If I marry again, how will my Social Security benefits be affected? I think I claimed Social Security too early, what can I do now? If I go back to work, will my Social Security benefits change? How do I claim on my ex‑husband’s Social Security benefit? Can I file for retroactive Social Security benefits at 64? Can I claim a spousal Social Security benefit while on disability? Can I claim a spousal Social Security benefit based on a common law marriage? If I retire early, will my pension impact my Social Security? When should I file for Social Security to maximize my benefits? Can I work part‑time while collecting Social Security disability? 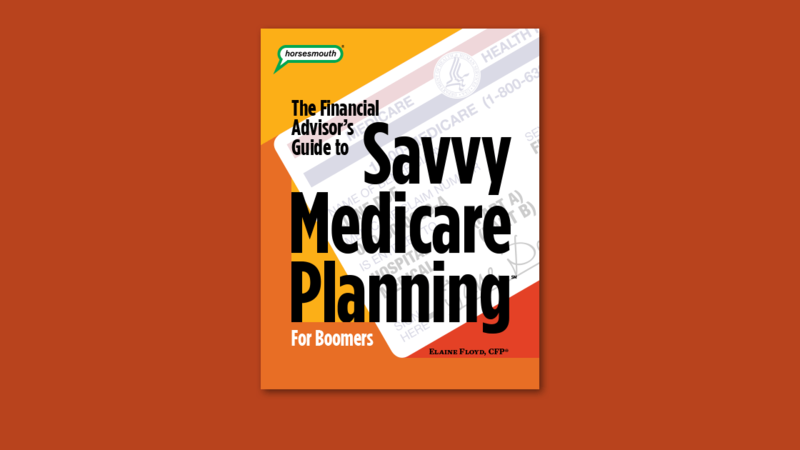 Should I move from Medicare Advantage to Medicare Supplement? If I stop using my HSA, what happens to it? As a federal employee, should I Sign Up for Medicare at 65? If we leave the country for a year, should we dis‑enroll from Medicare? How do I choose a Medicare drug plan? Do I need to proactively enroll in Medicare at 65? Does it make sense for me to purchase long‑term care insurance? How can we minimize our health care expenses? Can I pay Medigap premiums using my HSA? 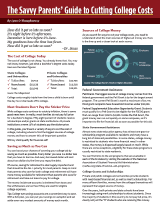 What colleges offer the best financial aid packages? With three kids, how do we get the best deal on college? If we form a trust, will it impact us on financial aid formulas? Can my daughter get a merit scholarship without being a top student? What happens when grandparents help pay for college costs? What is the best student loan to get? What is the best repayment plan for a federal student loan? Can elder care expenses help boost a child’s chances for financial aid? What if my ex‑spouse refuses to fill out financial aid forms? How do financial aid formulas treat annuities? How do we deal with RMDs across our four retirement accounts? When is a traditional IRA deductible? Are there income limits for doing a Roth conversion? Must I take a required distribution from each retirement account? I missed a required distribution. What should I do? When do RMDs begin for inherited IRAs? I just inherited an IRA. What should I do now? Can an IRA be split with my spouse if we divorce? Will a Roth IRA distribution affect taxation of my Social Security benefits? How do we protect our family from online fraud? How do we protect our financial accounts online? My laptop was hacked! Now what?! How can I safely do financial transactions over public WiFi? 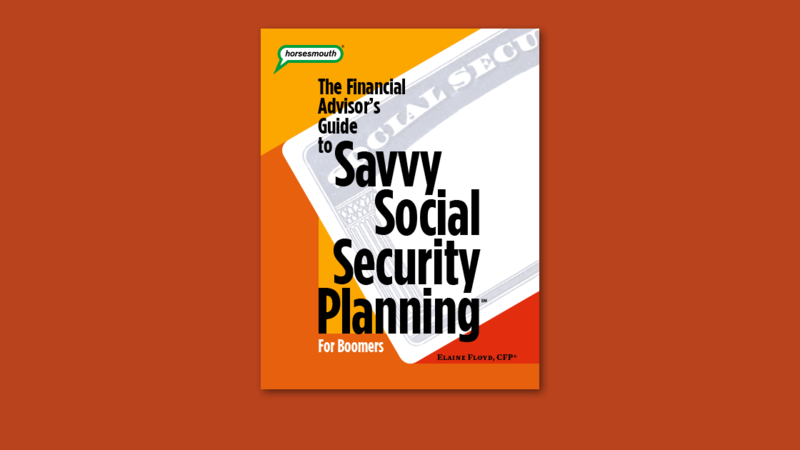 X Get the education, tools, client answers, analysis, marketing programs and communications you need to help Boomers maximize their Social Security decisions. Get the education, client answers, marketing programs and communications you need to help Boomers avoid expensive mistakes with their retirement health care. Get the education, critical updates, marketing programs and communications pieces you need to help clients protect their families and assets online. Get the education, critical updates, marketing programs and communications pieces you need to be DOL-ready and help clients with all aspects of IRA planning. Get the education, school lists, marketing programs and communications pieces you need to help parents save money and find the colleges right for their kids. 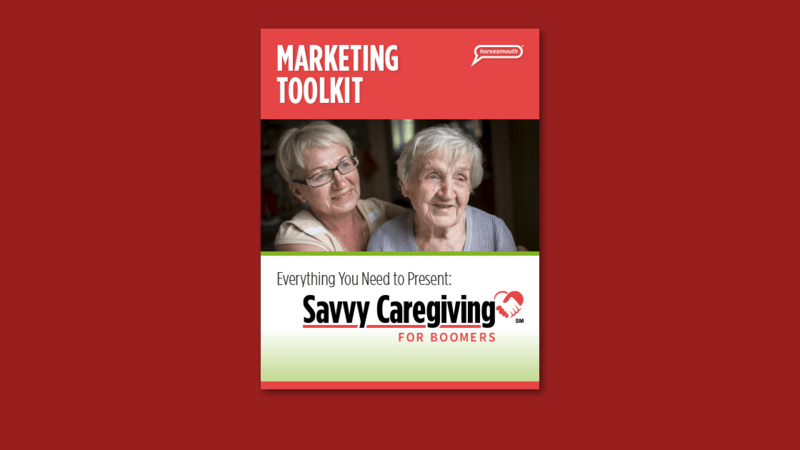 Get the education, client answers, marketing programs and communications you need to help clients through the process of setting up a caregiving plan. Get the technical guidance, client resources, and marketing tools you need to help clients plan their legacy for the generations. 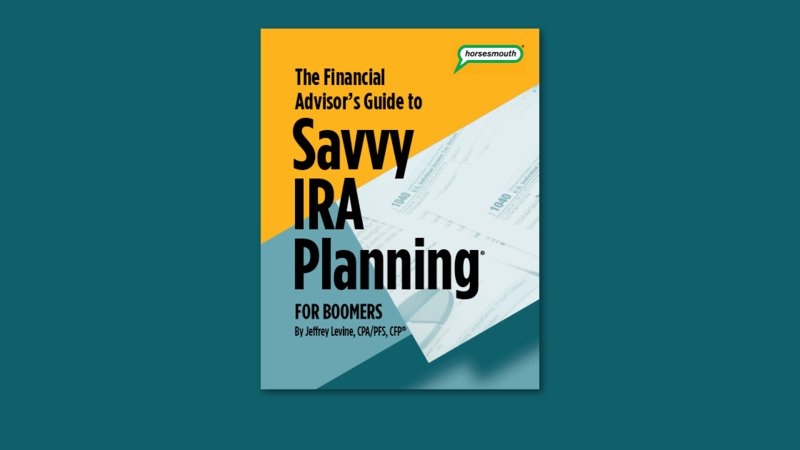 Get the technical guidance, client resources, and marketing tools you need to guide clients on retirement tax planning and the new tax rules. X Get the strategies, campaigns, marketing kits, client materials, checklists, and timelines for modern, year-round marketing and client communications. Get the presentations, campaigns, marketing kits, and materials for building relationships with CPAs and other COIs. Deliver CPE credits to CPAs. Every day, receive new ideas and insights on business development, financial planning and practice management from hundreds of top experts and advisors. X Get comprehensive access to the full range of Horsesmouth memberships. Show me all the details! Financial pros come to Horsesmouth for answers. Most people leave money on the table with Social Security. Gain access to the education, tools and answers you need to help clients make smart decisions and maximize their benefits. Comprehensive marketing and communications program included. Everyone must sign up for Medicare, yet few people understand what to do. Help clients avoid the pitfalls and put this critical piece of the retirement planning puzzle into place. Comprehensive marketing and communications program included. 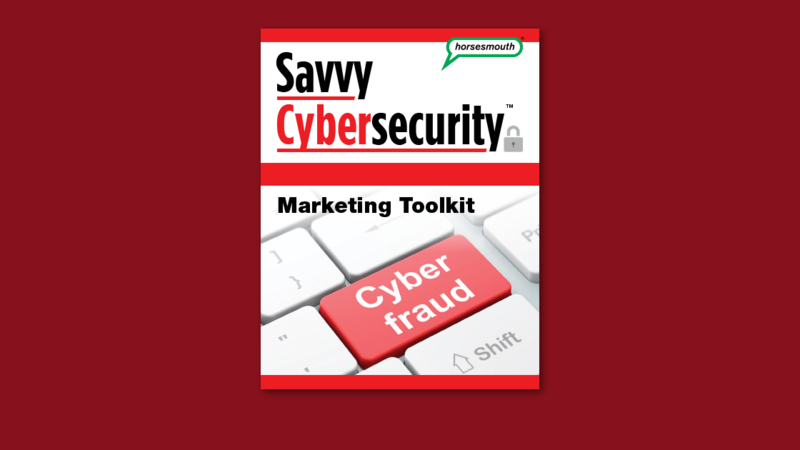 Help clients and prospects protect themselves from the growing epidemic of identity theft, credit card fraud, phishing scams and ruinous hacks. Show them how to improve their Cybersecurity Score. Comprehensive marketing and communications program included. With the arrivals of both the DOL ruling and the wave of Boomer RMDs (required minimum distributions), it is more important than ever before to be fully competent in IRA planning. Get up to speed, now. Comprehensive marketing and communications program included. Help parents save money and their sanity as they search for the colleges right for their kids. Show them how to discover the true costs, get the best deals, and maximize their financial aid opportunities. Comprehensive marketing and communications program included. 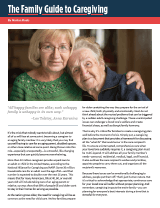 Help clients and prospects through the process of setting up a caregiving plan. Guide and encourage them with valuable resources on the medical, financial, legal, and emotional aspects of caregiving. Comprehensive marketing and communications program included. 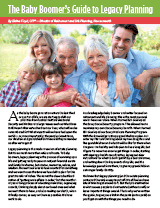 Strategies for helping your clients transfer their assets to the next generation. Make sure they have a good plan in place to pass on the wealth they have accumulated, financial and otherwise. Comprehensive marketing and communications program included. Two programs in one. Help retirees pay lower taxes by developing a retirement tax planning strategy. Also, educate all clients on how to best take advantage of the new tax rules. Comprehensive marketing and communications program included. Financial pros also come to grow their business. Every day, receive the latest insights, how-to articles and best practices for running a modern financial services practice. Learn from hundreds of top advisors and experts. 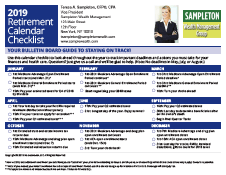 Help your clients and prospects throughout the year. Tap into a constantly updated and expanding set marketing and client communications campaigns (FINRA‑reviewed). Build your network of CPAs, attorneys and other COIs with new strategies and tactics. Includes ongoing communications, article reprints, and presentations (FINRA‑reviewed). Get comprehensive access to the full range of Horsesmouth memberships. Consolidate existing memberships into a single Master Membership, and get all the technical training, client education, communication and marketing support, in one place for you and your team. Learn what’s entailed in developing a robust “retirement tax strategy” for clients. Learn the details of a hugely valuable niche that will boost your value proposition, open the door to great clients, and drive your profitability in 2019 and beyond. Learn the range of FINRA-reviewed topics available to you at Horsesmouth, and which topics draw what types of clients and their characteristics. Learn how the new tax code will dramatically shake up your clients’ financial plans, savings plans, taxes, and investment portfolios. Learn to follow the “Dynamic Patterned Opening” to maximize the chance that your audience will take your desired action at the end of your presentation. Show prospects how skilled you are by hosting educational workshops that highlight your expertise and offer ‘social proof’ that you are the advisor with the answers. Get up to speed on the growing and complex ways the two biggest retirement programs interact and impact retirees and pre-retirees. Develop a late-stage college planning niche that builds your expertise and rewards you with wealthy, referring clients ready to have you manage all their assets. Learn some of the approaches to creating your own workshop success, and see why the Horsesmouth coaching process is so effective in getting you going. Learn how to successfully market to this important referral source. Develop a Financial Educator marketing system that will give you consistent exposure to prospects you need to build your business and defend it from competitors. 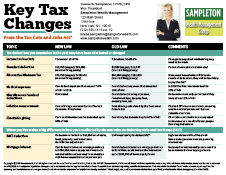 Easy to comprehend at a glance, this quick-reference card tells you what the new tax laws are and how they differ from the old ones. Sending your clients a customized Key Data Card is a simple way to remind them that you’re looking out for their best financial interests. Also great for sharing with key strategic allies. This 3-panel, 6-sided, 8.5" x 11", laminated reference guide for clients reinforces your expertise and helps to explain how every client can consider and put in place a family caregiving plan. This 3-panel, 6-sided, 8.5" x 11", laminated reference guide for clients walks readers through the six steps of legacy planning and explains the importance of acting now. 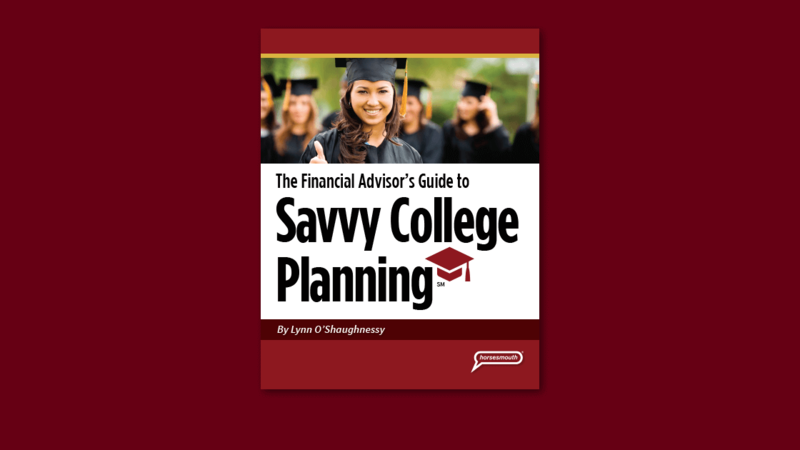 This 3-panel, 6-sided, 8.5" x 11", laminated reference guide for clients reinforces your expertise and helps to explain key concepts every client must consider when making college planning decisions. 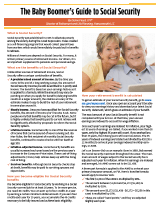 This 3-panel, 6-sided, 8.5" x 11", laminated reference guide gives your clients a solid overview of how Social Security works. Perfect to handout at client meetings about retirement income planning. Position yourself as the go-to resource for cybersecurity safety to your clients and prospects. 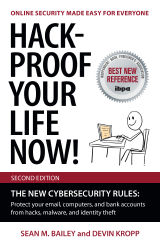 This book is designed to teach you and your clients about the biggest cybersecurity threats we all face every single day. 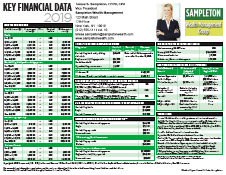 Remove a little pain from your clients’ lives by acting as their retirement guide star over important dates, details, and deadlines throughout the year. Horsesmouth helps financial professionals educate their clients and grow their businesses. Every day, we serve tens of thousands of advisors, consultants, agents, accountants and other professionals, representing every major financial firm and business model. We are guided by extensive primary research and two decades of experience. The company was founded in 1996 and is headquartered in midtown Manhattan, with employees spread out across the country. Hack Proof Your Life Now!